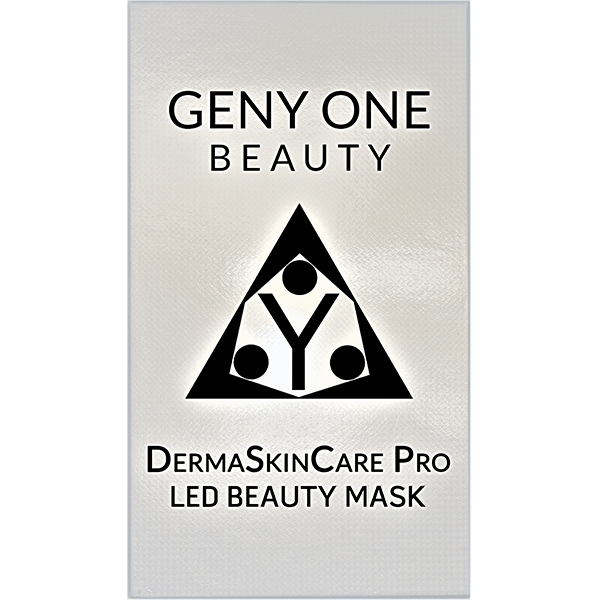 The GENY ONE BEAUTY – Derma Skin Care Pro LED Beauty Mask is a specially designed face and neck mask that works with seven different light spectra. For many years, LED light therapy has been used in medicine. Especially in support of wound healing, against wrinkles and skin problems, such as acne. 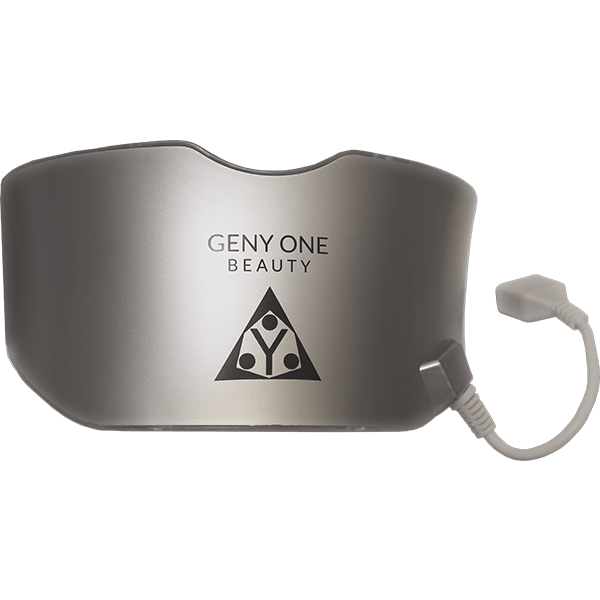 The LED light therapies are often performed by a dermatologist or a beautician and are now also easily possible at home thanks to the massive simplification of the operation. DermaSkinCare Pro – LED BEAUTY MASK is a revolutionary skin care product that is becoming increasingly popular. As the cosmetics continue to develop scientifically and technologically, skin aging can be better and better counteracted. International organizations and research institutes such as the NCBI confirmed the effect using specific wavelengths of light. Through the light absorption, the skin can benefit from vitality and improvement of the skin tissue. LED phototherapy is at the forefront of technological advances in skin care through Foto-Biostimulation. It is a non-invasive, non-thermal treatment with seven different wavelengths (colors) to enable a variety of skin rejuvenation therapies for the face and neck. The LED Foto-Biostimulation has a significant effect on your well-being and is entirely free of side effects as it is suitable for all sorts of skin types. 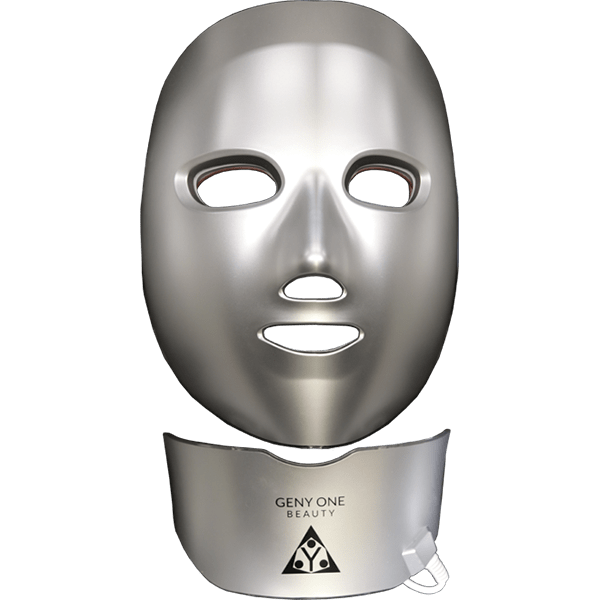 What is an LED mask? What can I expect from the DermaSkinCare Pro – LED Beauty Mask? DermaSkinCare Pro – LED BEAUTY MASK was developed with groundbreaking innovation initially discovered by NASA. 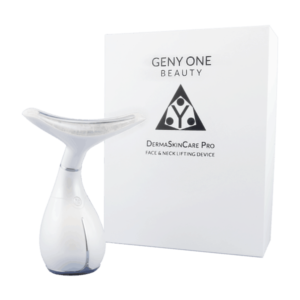 It is one of the most advanced skincare technologies on the market. 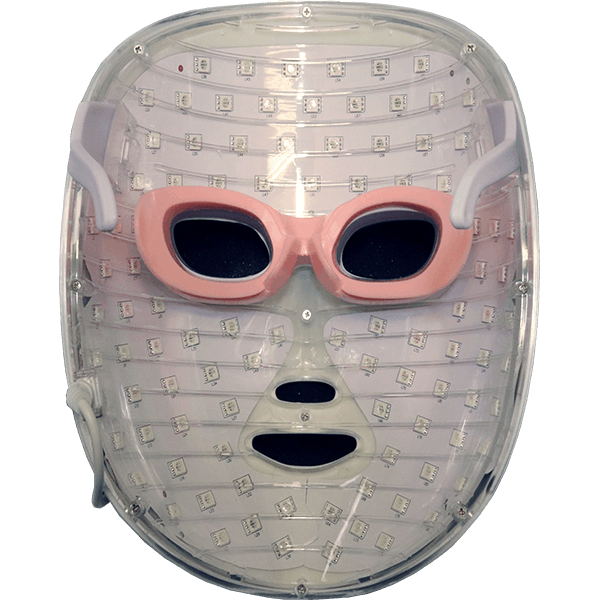 The LED beauty mask was built based of Low-Level Light Therapy (LLLT) and expanded by a total of seven different colors. Red, blue, green, yellow, purple, light blue and laser light. Each wavelength of light has its functions and solves different skin problems. Red is the light that penetrates deepest into the skin. Among other things, it has an anti-inflammatory effect – the reason why red LED light is effective against pimples, but also used in the fight against pronounced acne. Red light also stimulates collagen production – an animal protein, which ensures a firm and firm connective tissue, encourages blood circulation and promotes the repair processes of our cells. Blue LED light is also highly effective against acne as it combats the bacteria that cause the skin disease. Even against problems such as psoriasis, the blue light is used and is a gentle alternative to aggressive agents. But this color also has anti-aging benefits, because blue LED light stimulates the cell renewal and thus ensures a fresh, well-rested complexion and fewer wrinkles. Greenlight has a calming effect on our skin and has an extraordinary impact on melanin. So this LED light is to alleviate pigmentation and other discoloration, such as those caused by sunlight, or even disappear entirely. The 570 nm yellow light improves oxygen exchange in the cells, provides energy, breaks down pigments, promotes lymphatic drainage, improves rough skin, eliminates wrinkles, treats redness and increases the body’s defenses. Is a mixed light, consisting of red and blue light, which combines two phototherapy effects. This light has a very good impact on the cure of acne and the removal of acne scars. This light can gradually increase the cell energy so that it can perform its function better. Near-infrared penetrates deeply into the skin and accelerates active tissue metabolism. It removes dark and light spots and improves the appearance of fine lines and softened skin. Clean your face with clean water and dry it with an absorbent towel (avoid the use of wet facial tissue, as these lead to the rough skin). Take the LED Beauty Mask out of the box and attach the rubber band on the left and right sides. 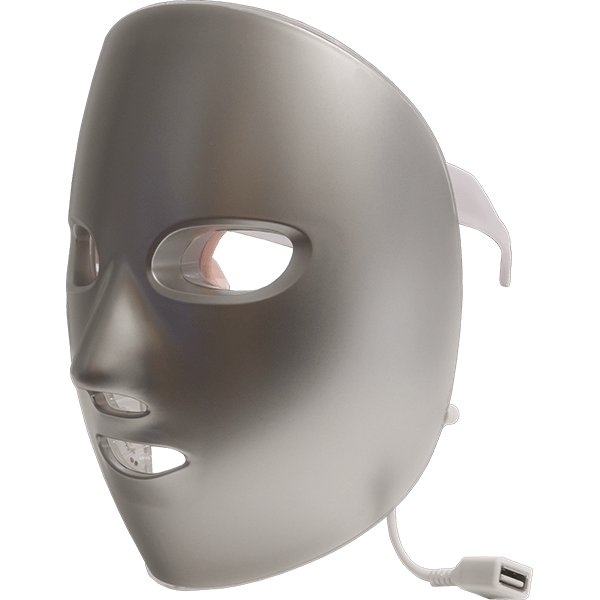 Take the control out, connect the mask with the supplied cables. Press the power button. The power indicator should now light up, press the ON / OFF button to activate the mask. Press the COLOR button to select your preferred color. Press the TIME button to adjust the working time according to your individual needs (recommended application time 15-30 minutes). Do not look directly into the light source. You can change the desired light intensity to your needs. Put on the mask and adjust the mask according to your needs. 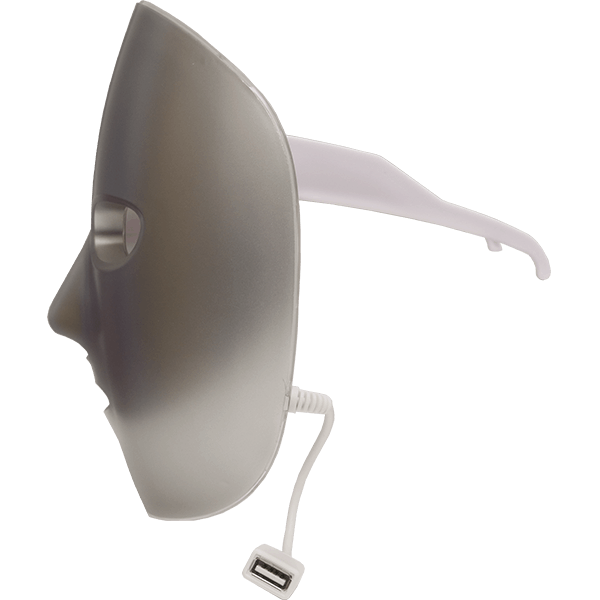 The mask itself is worn like a pair of glasses. The supplied rubber band can fix the neck part. The light intensity should be adjusted to the minimum before wearing and put on with closed eyes. Make sure the mask is taut, and the light does not blind you. If everything is sitting as desired, you can adjust the light intensity. Now lie down and close your eyes to enjoy the light treatment. Keep your eyes shut during the entire procedure. After each use, the device should be cleaned with a disinfectant cloth and stored in the provided box. Tips: The LED BEAUTY MASK can be used together with skincare products for an even more effective effect. You can choose different colors as needed. This treatment can be used by women and men with various skin problems. Avoid direct contact with the eyes. If you feel that the light is too strong, close your eyes or use cotton pads or glasses to protect your eyes. Due to the mask material, it is possible that it smells a little when opening the package. This is normal and will evaporate after a short time. The circuits and LEDs inside the mask must not be bent or pressed. After each use, the LED Beauty Mask must be cleaned and stowed correctly. The mask is not waterproof and therefore must not be washed. Please use a damp disinfectant cloth to clean the face mask. The rubber band is washable at 30 degrees hand wash.
Do not use aggressive chemical solvents to clean the mask. The mask must be protected from direct sunlight. Pregnant women, minor persons, people with epilepsy, thyroid patients, people with allergies or wounded skin should consult their physician before use.